The focus of the crafting through the spring and summer was our upcoming wedding, which was one of the very best days of my life. Usually I'm not a wedding fan, I struggle with the enforced sociability and the bonus points for elements that no sensible person would embrace in every day life. When we started planning, we knew that there were a lot of things that we'd be missing out, and waved goodbye to seating plans, favours, dress codes* and colour schemes. 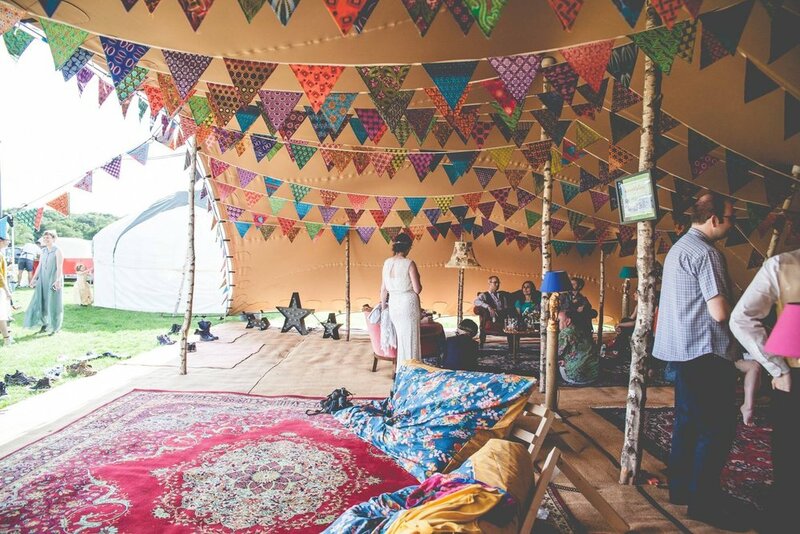 Then made a list of the things we did want and threw ourselves into a festival style day of celebration on a farm, with a ceilidh, cinema yurt, a reading tent, food vans, a gin van and a gorgeous stretch tent of loveliness. We DIYed wherever possible, and I spent many happy months crocheting the edges of 50 blankets, painting over 30 signs and bringing decorations together. It was a wonderful day, and the preparation and crafting made it very clear to me that my heart is not in the day job anymore. And so, there's a plan to embrace the crafts, all the crafts, and leave the school behind. *Actually that's a little inaccurate. We did ask all of our guests to wear clothes.